be everyone’s favourite boss? Maybe you’re just a generally rational person? Many business owners and managers are realising the numerous benefits of commercial air conditioning- especially with summer coming to Perth any minute now. If your office or workplace still doesn’t have air conditioning, here are the benefits to consider of getting a quality air conditioning service installed. 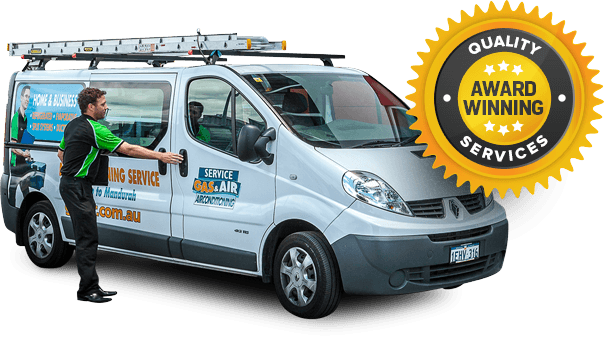 Gas Air proudly provides our Perth clients with a range of commercial air conditioning options, to see you through the most fierce of climates. If your employees are hot, their internal temperature is rising and causing them to sweat. That claustrophobic stuffiness of heat and humidity can dramatically affect workplace productivity; causing eyelids to droop and concentration to fade. If you thought air conditioning was only useful in summer, then wait until winter rolls around for you to thaw out your team with the warming mechanism, which can turn your esky of an office into a comfortable space again. For many people, the effect of a stuffy heat can cause stress-like symptoms and serious discomfort, as well as making it the perfect environment for airborne illnesses and fungi to spread. Air conditioners have built in filters to catch the allergy-causing organisms and fungi- meaning your team will be mentally and physically healthier (and less likely to need sick leave). An office environment with servers, computers, printers, and other large electronics can produce a lot of heat, which runs the risk of overheating. Air conditioning can bring this back down to a safe level and decrease your risk of a system crash or failure. Many air conditioning units are extremely energy efficient, and can maintain a room’s temperature at minimal costs. This is also safer than leaving windows ajar for ventilation! For more information about how commercial air conditioning could be right for you, check out our website and see how Perth Gas Air can help.